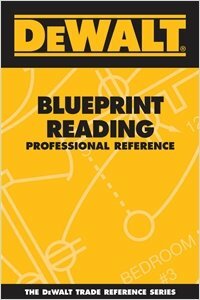 Covering a multitude of trade industries, the DEWALT® Blueprint Reading Professional Reference gives plumbers, carpenters, roofers, electricians, flooring installers, and others access to important information. Readers will learn how to read and understand blueprints, sections, elevations, schedules, site plans, architectural plans, structural plans, plumbing plans, HVAC & mechanical plans, electrical plans, and more. A comprehensive glossary of terms and abbreviations is also included for those on-the-job situations when a quick refresher is a must! convenient size easily fits into any pocket or toolbox for the ideal carry-along!